This has been in my drafts since long long time and thought of posting it now. 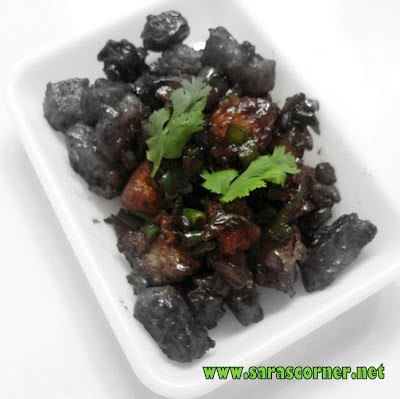 This manchurian is very tasty and I love paneer. The first dish I order when we go to a restuarant is gobi manchurian or paneer machurian always. In a pan/wok, add oil, add onion, ginger, garlic, green chilli, capsicum and fry till its transperant. Add all the sauces and mix. Add fried paneer and mix. Cook for 2 mins. 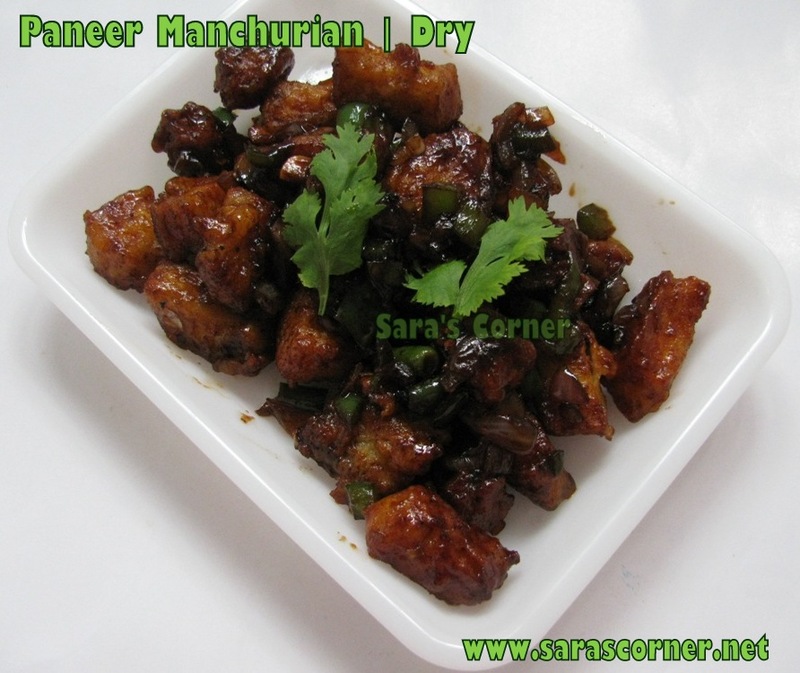 Paneer Manchurian is ready to serve.You can serve dry manchurian as starter. Notes - I didnot know about light and dark soya sauce, came to know when I reached Singapore. So check before buying. Yummy recipe..love paneer...this looks awesome and delicious. I love all kinds of manchurian. i lve dry version very much...looks yummy and juicy!! I love it a lot and you had got the colour perfect! Superb! love the paneer in any way. Its looks so inviting. I can smell aroma here. wow. Ooh... this picture is tempting me to make 'em... lovely recipe..
Nice appetizer, looks very inviting..
One of my fav dish that goes well as a delectable side. It's so inviting. Nice Recipe steps. Please have a look into another version too.